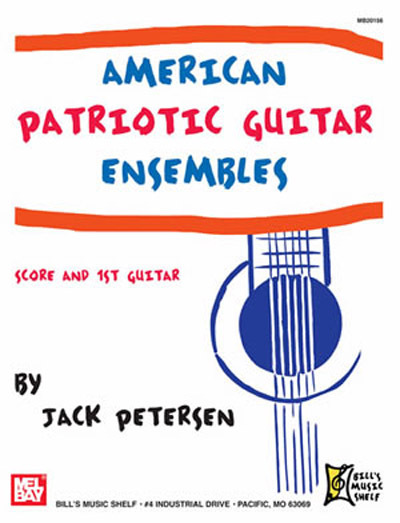 Easy to intermediate guitar ensemble arrangements on America the Beautiful, The Star Spangled Banner, America, Battle Hymn of the Republic and Yankee Doodle. This book contains the score and 1st Guitar part. The second, third and fourth guitar parts are available as free internet downloads. All arrangements were written by acclaimed guitar educator Jack Petersen.